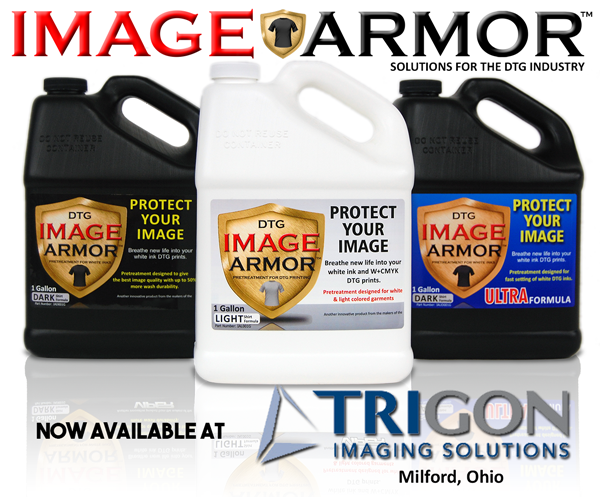 New Philadelphia, Ohio March 8th, 2019 – Image Armor is thrilled to announce that our IA Light and Ultra pretreatment formulas for the Direct to Garment Industry are OEKO-TEX®, Eco-Passport Certified as of February 2019. 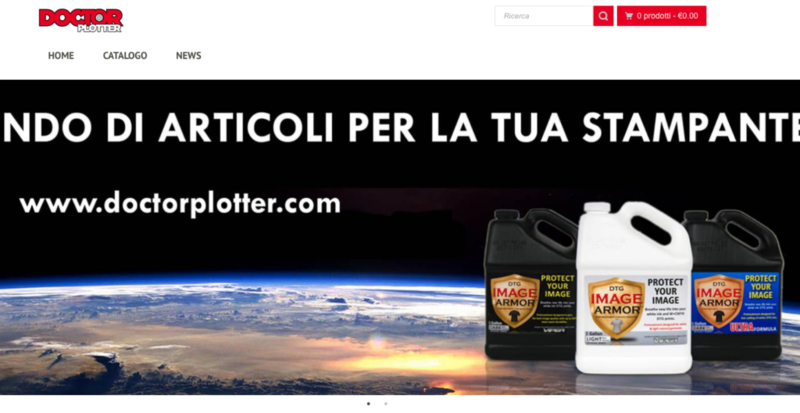 ECO PASSPORT by OEKO-TEX® is an independent testing and certification system for chemicals, colorants and auxiliaries used to manufacture textiles. The certification proves that ECO PASSPORT certified textiles and textile ingredients that are OEKO-TEX®-compliant are free from dangerous levels of potentially harmful substances such as allergens and carcinogens. 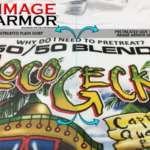 Image Armor strives to be the most trusted pre-treat solution in the garment decoration industry by continuing to maintain a high standard for health and human safety. Our pretreatment solutions were both tested at the ingredient level against OEKO-TEX® Restricted Substance Lists (RSLs) and Manufacturing Restricted Substance List (MRSL). These tests are made to ensure that certified products can be used in the sustainable production of human-ecologically optimized textiles. Image Armor is excited to be exhibiting at the Long Beach ISS July 20th – 22nd at the Long Beach Convention Center. 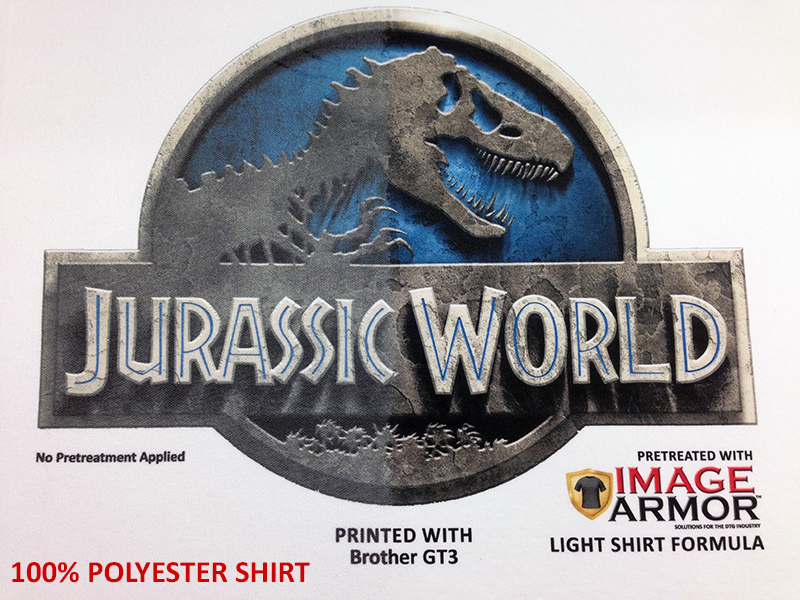 Stop by in booth #1010 to talk about DTG and see why you really should be pretreating EVERY shirt you print. We will have on hand samples showing why you should pretreat on EVERY style of garment – including white. 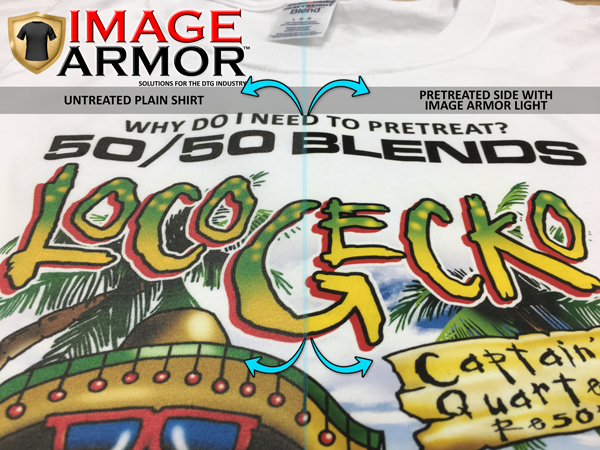 Pretreating is the process of “preparing the shirt” to more readily accept the DTG water based inks used in direct to garment printers. 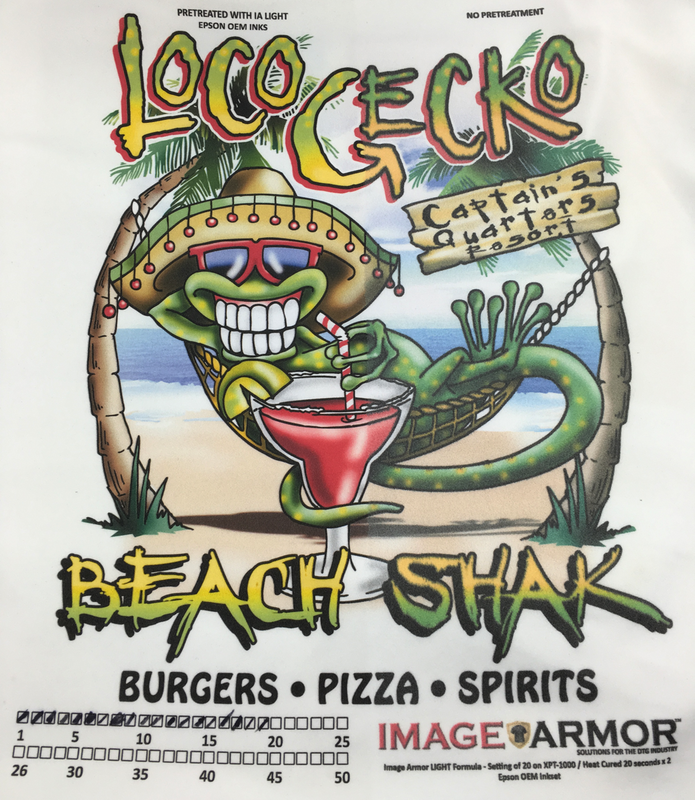 Image Armor LIGHT provides a vastly improved surface on white shirts that will change the way you and your customers look at DTG printing. You will be able to see first hand how our proprietary formula improves wash durability and color vibrancy and image clarity on 100% cotton, 50/50 and even 100% polyester shirts. As you can see in the image to the left, there is a vast difference in the image clarity and colors on this white 50/50 shirt. 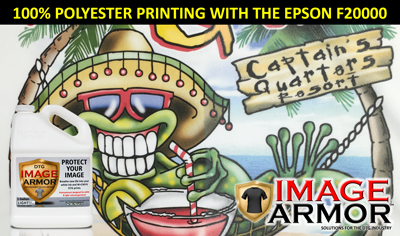 The Image Armor LIGHT Shirt Pretreatment works great on all CMYK prints and CMYK plus a light highlight white if needed. Come and join in the DTG Revolution and visit our booth this summer at the Imprinted Sportswear Show in Long Beach. We look forward to seeing you there. 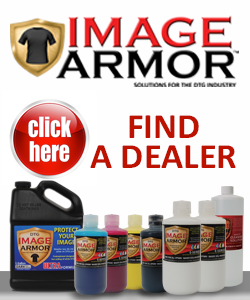 If you can’t make the show in July you can sign up and receive a free quart sample of Image Armor LIGHT Shirt Formula simply by going here. 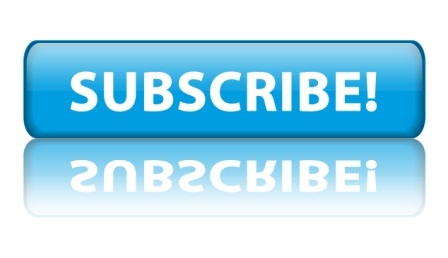 We know you’ll love the results you see so much we are willing to put our money where our mouth is – which is why we are giving it away for you to try. You can also stop by our booth at the show to pick up your free sample if you have not tried the LIGHT Shirt Formula yet. 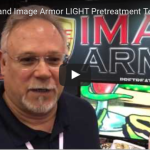 Rich Gamba from Shelter Cove Embroidery talks about his experience with using his Brother GT-381 DTG printer and Image Armor LIGHT Shirt Formula to improve the garments he prints for his customers. 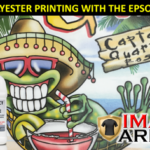 Maker sure to stop by our booth at the Long Beach Printwear Show July 23-25th, 2015. 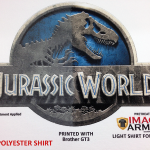 Image Armor will be in Booth #932 on the end aisle and you can check out this incredible print in person. We printed this on a 100% white polyester shirt and only pretreated the right side of the shirt with Image Armor LIGHT Shirt Formula. 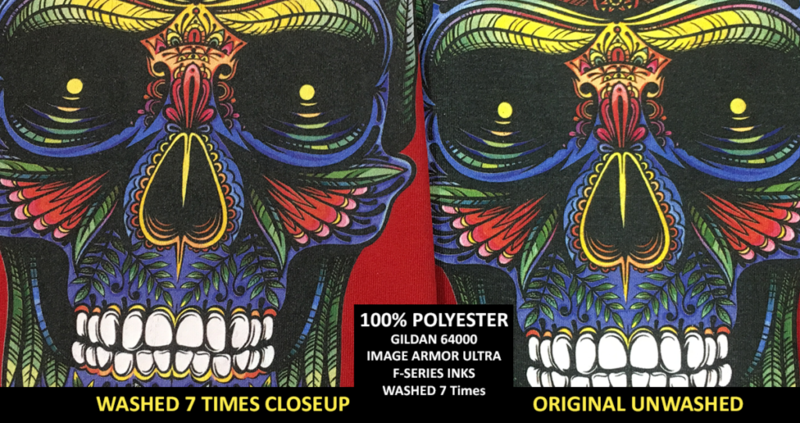 The left side was untreated and we then printed the image onto the shirt to show the contrasting difference of printing on our LIGHT Shirt Formula vs untreated 100% polyester. We think the results speak for itself. 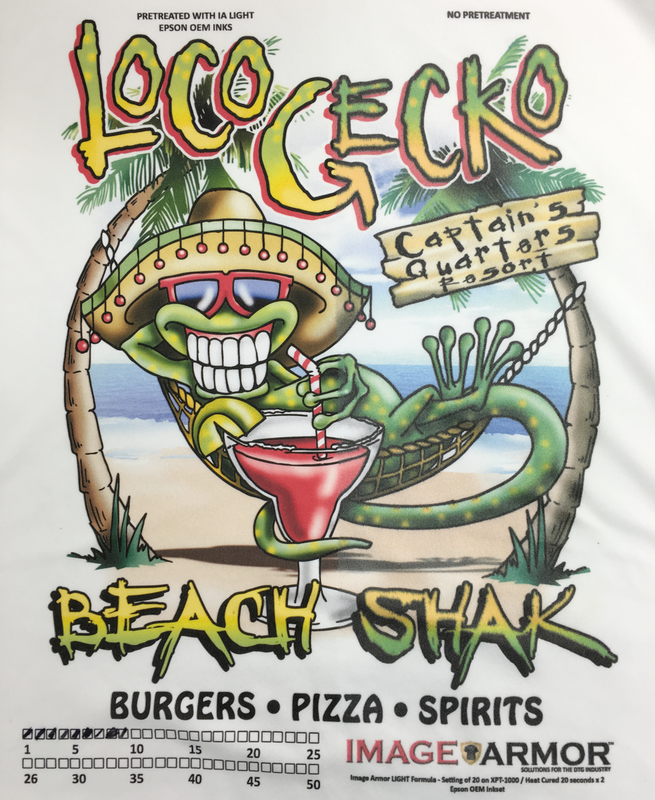 And yes, if you have any direct to garment printer be it a Brother, Epson, or re-purposed Epson, you can use our LIGHT SHIRT Formula to get results like this….. it looks almost like sublimation – but off your DTG printer. We look forward to seeing you at the Long Beach Show! 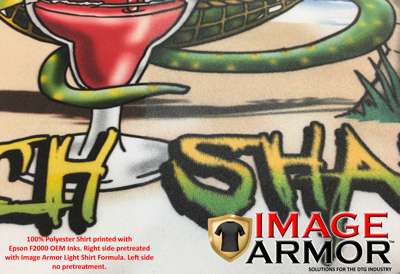 Maker sure to stop by our booth at the Long Beach Printwear Show July 23-25th. 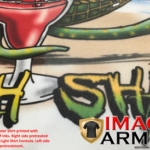 Image Armor will be in Booth #932 on the end aisle and you can check out this incredible print in person. 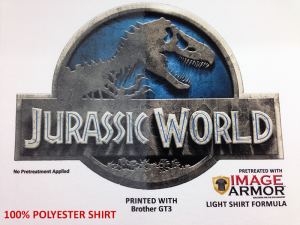 We printed this on a 100% white polyester shirt and only pretreated the right side of the shirt with Image Armor LIGHT Shirt Formula. 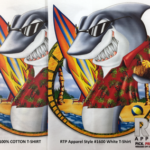 The left side was untreated and we then printed the image onto the shirt to show the contrasting difference of printing on our LIGHT Shirt Formula vs untreated 100% polyester. 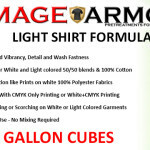 Image Armor LIGHT Shirt Formula is available now in 5 gallon CUBE containers. 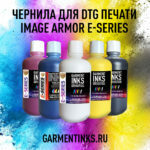 This new LIGHT Shirt Formula increases vibrancy and detail while improving wash fastness for CMYK and White+CMYK prints. 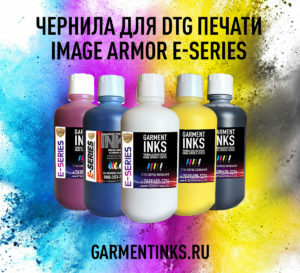 It is great for achieving sublimation like prints on white 100% polyester shirts while increasing printing options on 50/50 blends and 100% cotton white and light colored shirts. Stop wasting ink printing two passes to achieve good opacity. The LIGHT Shirt Formula boosts the vibrancy beyond anything you though achievable with DTG printing on your white and light colored shirts. 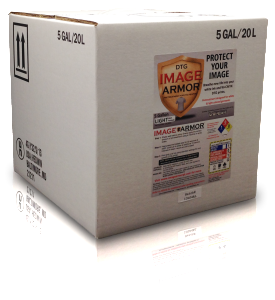 These 5 gallon CUBES are available from any authorized Image Armor Pretreatment Dealer.